Win $100 iTunes Gift Card! If your the lucky winner, you can use your gift card towards whatever you want on the iTunes Store, App Store, iBooks Store, Mac App Store, or even toward an Apple Music membership. Use the Rafflecopter form to enter daily. Giveaway ends 5/18 and is open worldwide. Are you a blogger who wants to participate in giveaways like these to grow your blog? Click here to find out how you can join a totally awesome group of bloggers! 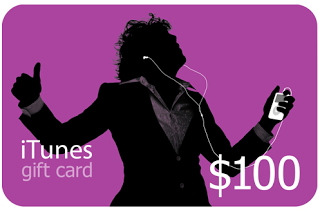 What would you get if you won the $100 iTunes Gift Card? I would give it to my teen son who is always hounding me to put more money in his itunes account for games and music.